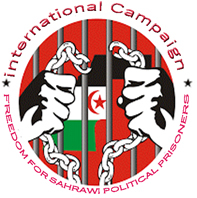 Geneva (Switzerland), September 20, 2016 (SPS) - Saharawi delegation participating in the 33th session of UN Human Rights Council has attended a series of workshops, organized by international organizations and human rights associations on key issues of concern to the Saharawi people and their just cause. Glana Hamdi asserted in workshop on "the right of peoples to self-determination, the importance of the right of peoples to self-determination in the perspective of the international law and conventions, noting that the Saharawi people is deprived of this right by the Moroccan illegal occupation of their territory. She reaffirmed Sahrawi people’s rejection to any solution does not guarantee their inalienable right to freedom and self-determination through free, democratic and fair referendum, calling on the international community to immediately intervene to find a quick and just solution enables Saharawi people of their right to self-determination and an end the suffering that lasted more than four decades. For his part, Sidi Breika, deputy of Polisario Front representative in Switzerland denounced the international community unjustified silence and failure in resolving the dispute by legal ways that respect the right of the Saharawi people to self-determination and independence before it is too late, assuming the United Nations direct responsibility towards the territory of Western Sahara, during his intervention in a workshop on the right of peoples to self-determination. Polisario Front representative in Switzerland, Mr. Maima Abdel-Salam, addressed the legal status of the occupied territories of Western Sahara by the Kingdom of Morocco, highlighting the daily suffering caused by this situation and the systematic violations of human rights against the Saharawi defenseless citizens in the occupied territories, citing the situation of human rights activist and Sahrawi political prisoners, Yahya Mohamed el Hafed Azza, and "Gdeim Izik" group and all Saharawi political prisoners languishing in Moroccan occupation prisons .